March 2nd, 2010. I will be there, outside the Supreme Court building. I won’t miss this one like I did Heller. … is that if you can honestly say given a situation like this, you’d rather be unarmed than armed, you’re either insane, or seriously and delusionally committed to the proposition that guns are just bad all around. Yes, people who carry guns can still end up being victims. Guns are not a magic talisman that wards off all evil. If that were the case, no police officers would ever be shot and killed with guns. But police officers still carry them, because they’d be foolish not to. You have to wonder if these people honestly believe police officers would be better off without firearms for self-protection. The Obama Administration is taking the position that the now expired “assault weapons” ban can no longer be considered for the purposes of sentencing enhancement. Rather busy today just coming back from vacation, and we got in really late last night from Virginia, and then my dads, so no time to find things to blog about today. In the mean time, go read what Tam has to say over at The Arms Room, on vintage assault rifles. It looks like the Joyce Foundation is going to try, and they have some recommendations. The good news is we have the opposition in hearts and minds territory, the bad news is this is ground they’ve traditionally been very good at fighting on. They are laying the groundwork for the next big legislative sweep against us, and if this succeeds it’s going to be ugly. It’s always a situation of winning, until you aren’t. Heading back up to Pennsylvania on I81 we passed the presidential birthplace of Woodrow Wilson. I wouldn’t stop there except to piss on it, but it got me thinking about predidential birthplaces in general. We’re pretty much out of the era where people were typically born at home, which makes me ponder whether or not we’ll start renaming hospitals after the Presidents who were born there. We could, for example, have the George W. Bush Medical Center and Birthplace, or the Barack “We Swear He Was Born Here” Obama Memorial Hospital in Honolulu. The king of all birthplaces is the Bill Clinton birthplace in Hope, Arkansas, but that’s only because there’s a great BBQ shack right off the exit — only fitting for the nations first fast food president. If there was a strip joint next door it would be the most fitting monument to Bill Clinton there could be. Most of us have heard about the uprising in the Warsaw Ghettos, but it’s not widely known just how broad the Jewish resistance to the Nazi’s “Final Solution” really was. This story is at least now being told in a small part by Hollywood, but it’s not a part of history most people know about, and that’s a shame. This is one “oops” I can relate to, after my TSA experience in Phoenix. Apparently there’s about 902 firearms found at security checkpoints each year. Although I was a lot more careful with the guns themselves, I can easily see how someone in a rush can forget a pistol in a tote bag until it runs through the system. It’s one big problem with off-body carry, and one reason I don’t often practice it. During the Clinton administration, the FBI had access to records of gun background checks for up to 180 days. But in 2003, Congress began requiring that the records be destroyed within 24 hours. This requirement, one of the many restrictions on gun data sponsored by Rep. Todd Tiahrt (R-Kan.), meant that Hasan’s investigators were blocked from searching records to determine whether he or other terrorist suspects had purchased guns. When Hasan walked out of Guns Galore in Killeen, Tex., the FBI had only 24 hours to recognize and flag the record — and then it was gone, forever. (2) If receipt of a firearm would not violate section 922 (g) or (n) or State law, the system shall—(A) assign a unique identification number to the transfer; (B) provide the licensee with the number; and (C) destroy all records of the system with respect to the call (other than the identifying number and the date the number was assigned) and all records of the system relating to the person or the transfer. Sorry, Bloomberg, it’s in the signature piece of gun control legislation, you know, the one that was rammed down our throats in 1993 and partly resulted in the Democrats losing Congress in 1994? Suddenly now it’s inadequate and is responsible for arming terrorists? Perhaps they need to complain to the Brady Campaign for pushing their signature legislation. The problem for Bloomberg is that the truth is inconvenient. If a lie helps discredit the Tiahrt Amendment, which thwarted the City of New York from continuing its lawsuits against firearms manufacturers to hold them responsible for criminals using guns, so much the better. I’m only sorry a paper like the Washington Post is only so willing to play along. It’s not hard to fact check these claims, but it appears helping with the agenda is more important. UPDATE: I would also point out there was nothing in the Tiahrt Amendment language that prevented law enforcement from tracing the firearms used in the Ft. Hood shooting. That’s how we know he acquired them through legal channels, since he was not convicted of anything prior. 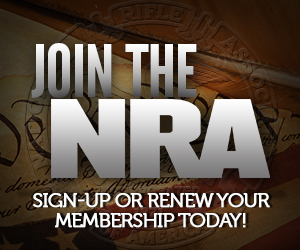 (2) any system to implement subsection 922(t) of title 18, United States Code, that does not require and result in the destruction of any identifying information submitted by or on behalf of any person who has been determined not to be prohibited from possessing or receiving a firearm no more than 24 hours after the system advises a Federal firearms licensee that possession or receipt of a firearm by the prospective transferee would not violate subsection (g) or (n) of section 922 of title 18, United States Code, or State law. (b) Subsection (a)(2) shall take effect not later than 180 days after enactment of this Act. I should note that the current appropriations bill also contains this language (See Sec. 512). This language was necessary because the Clinton Administration had implemented a rule that allowed the records to be kept, despite what the Brady Act called for. Apparently this was upheld by the courts when challenged. So it would seem I was wrong, and Bloomberg isn’t lying about Tiahrt. Bloomberg merely wants the federal government to return to the previous practice of ignoring the Brady Act, and thus federal law. The Philadelphia Inquirer also notes that concealed carry is utterly dangerous, because VPC’s highly scientific Google research shows that concealed carry license holders across he whole country over a two years murder at a rate considerably less than your average Philadelphian. Maybe that’s because the city just lets murder suspects walk out of jail. Maybe one day Philadelphia newspapers like the Daily News and Inquirer will actually start holding city leaders responsible for the real causes of the city’s crime problem, which have precisely nothing to do with the state’s gun laws.